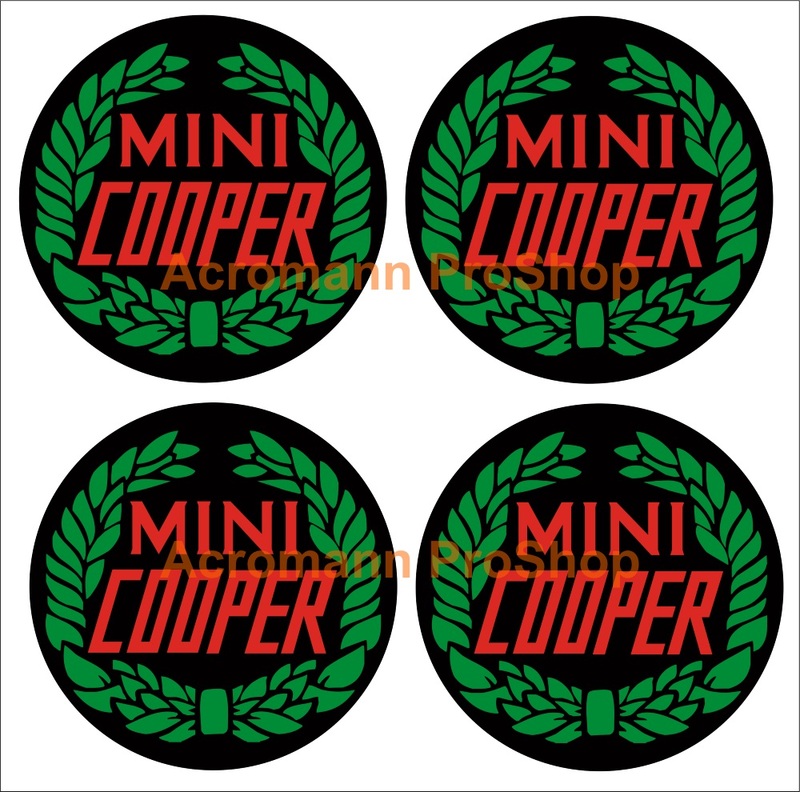 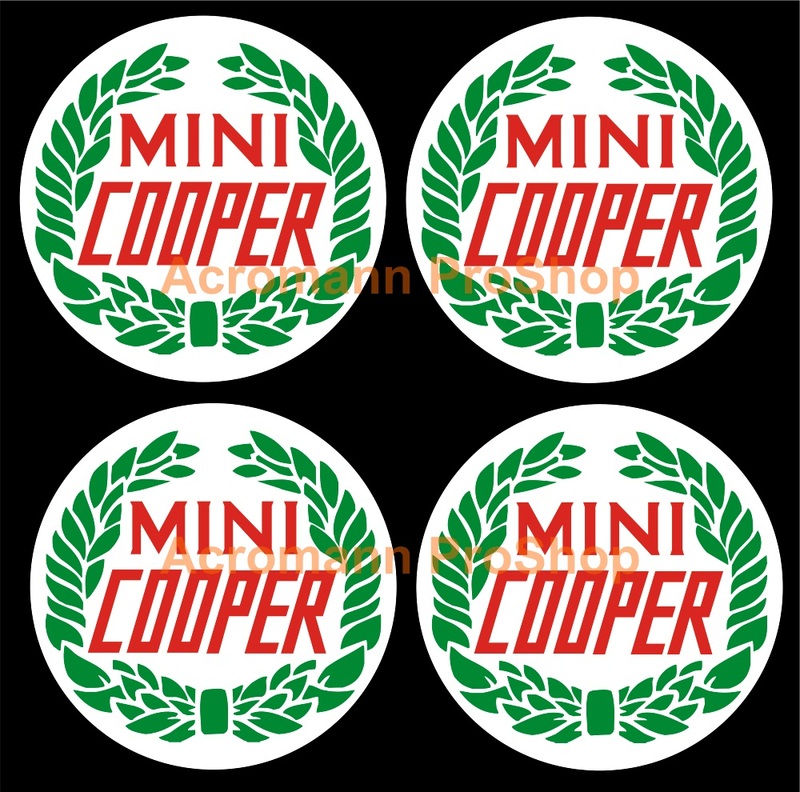 Classic Mini Cooper Laurel Alloy Wheel Center Cap decals, a set of 4 pcs (four), 2inch (5.1cm) in diameter - Standard Color: (1st color) RED lettering; (2nd color) WHITE background w/ (3rd color) DEEP GREEN laurel graphics - Decals have round background - These decals are computer die-cut, highly detailed graphics which made by high quality vinyl material - They can last up to 5-7 years under any weather condition - The Decals are supplied complete with application tape, just peel and stick !! *Remarks: (1) Few decals in 4"(L) may be too small to add outline, pls free feel to ask & clarify before purchasing ! 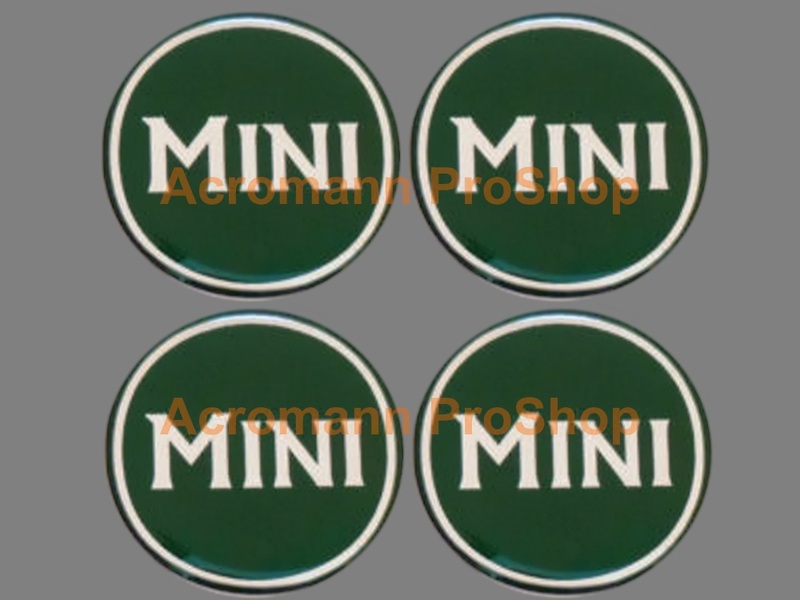 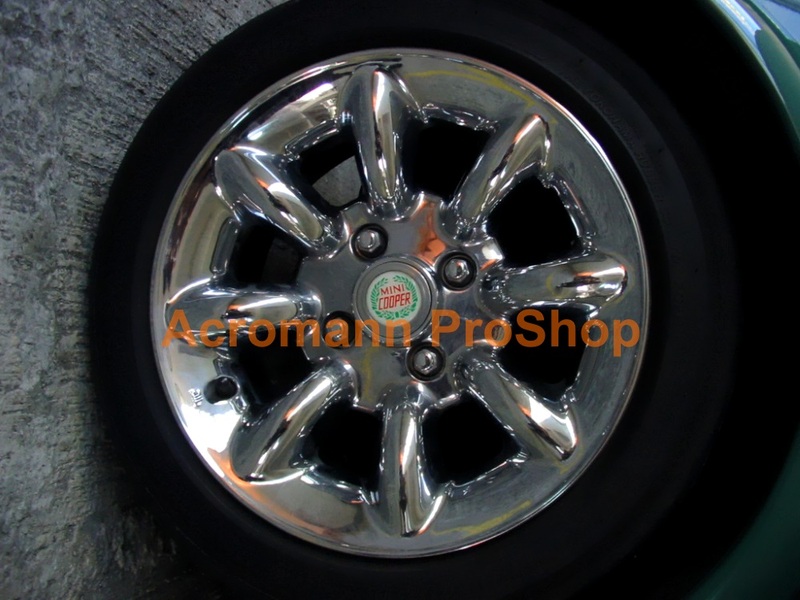 (2) Available size options are between 2.2"(5.5cm) to 4"(10.2cm) in diameter ONLY ! 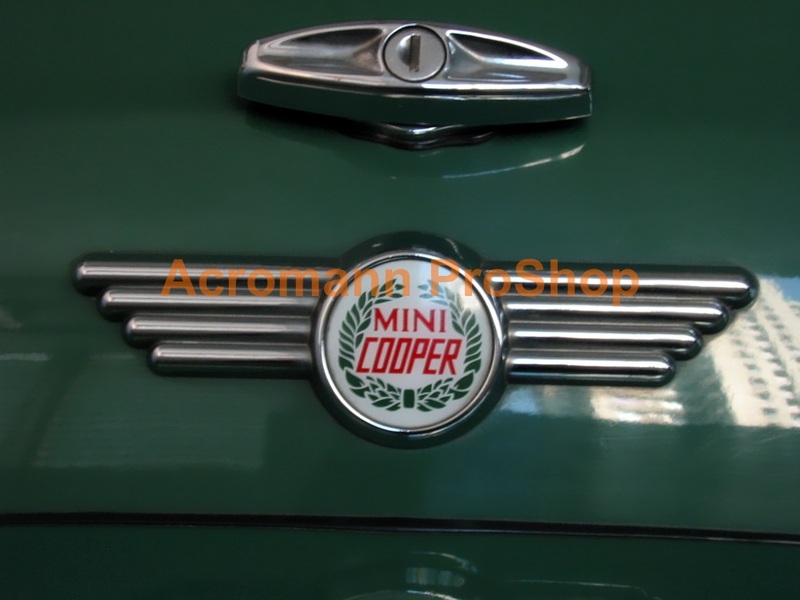 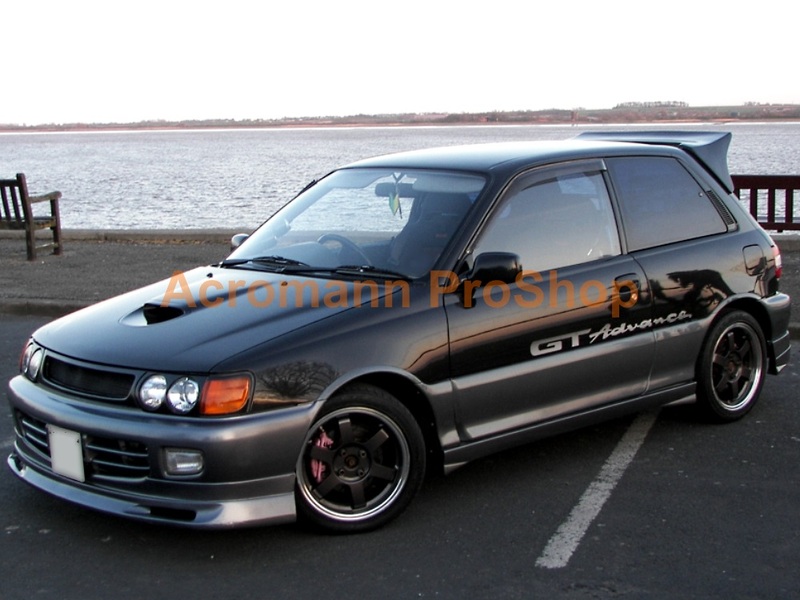 (3) Any special requirements other than our available options, email to us & ask !